The Samsung Galaxy S Plus GT I9001 smartphone which followed the 1900, may be described as not so popular to due lack of tasty ROM support. All that will soon be history, with this easy-ter-follow guide on rooting your GT I9001 Android device. Before you commence the rooting process of your Sony Tablet P, please note than rooting the OS on your device may void the warranty. Any issues or damage that may occur due to rooting your device by following this guide will not hold Android.gs responsible. 2. Make sure your device is charged to at least 75% battery level – provided your battery is relatively new (under 2 years, which is obviously applicable if you’re reading this article anytime close to the publish date). Otherwise try to charge it 100% or consider buying a new one before you attempt to root the Android device. Now copy the two zip files from above (remember the ones you downloaded to your PC?). You can copy them anywhere, as long as it's not a place difficult to find or too "deep" in the file system on your phone. Next, remove the USB cable from the Samsung and shut it down. You will need to enter recovery mode. How to enter Recovery Mode? You need to long press the Volume Down Key + OK button, and holding both simultaneously press the Power Button (good thing nature gave us lots of fingers). Once you enter into the recovery mode, be glad! And then choose the options Wipe data/factory reset as well as Wipe Cache partition. Cleaning up people, cause it's spring time! Course you can do this any season, but just saying. Look closely and you'll see the “install zip from sdcard”, click on that and you can pick to bravely Root your device or take the path back home and Unroot (provided you rooted in the first place using yours truly's little guide). After you select, press the power button to confirm your selection. Bamm! the process is not beginning. Last step would be to reboot the phone, after the process is completed. This can happen automatically, in which case good for you go have a coke. Or, if the device appears to be back in Recovery Mode, there's a neat +++ GO BACK +++ option for you to select. One way or another, you'll be booting in the new firmware. Congrats! 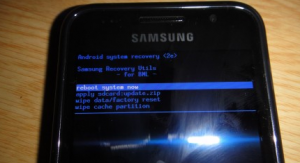 In case your edition of the Samsung Galaxy S GT I9001 smartphone somehow does not root, follow the steps again after closely reading the prerequisites. Studies have shown that this guide works in 99.93562% and some other cases. I have loaded TWRP recovery and all now whenever I am pressing power+volumeup+home button my splus is going into rampdump mode. Please help. and In Team win recovey the above downloaded zip file is not showing. suggest what to do? AND WHEN YOU SEE THE SECOND ARM OF " SAMSUNG GALEXY S PLUS" YOU MUST REPEATEDLY TAP THE "MENUE BUTTON" . how long is this going to take?? why downloading so long ?